Bohemian Rhapsody (film, 2018). A 2018 biographical film with "PG-13" rating by 20th Century Fox. Directed by Bryan Singer, Dexter Fletcher. Official Trailer. 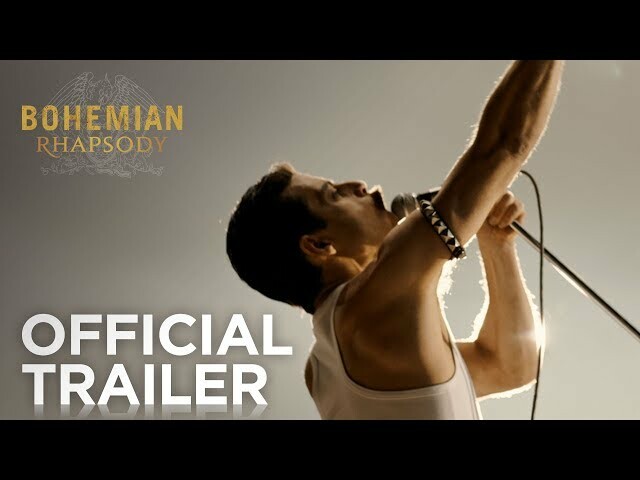 Bohemian Rhapsody is a 2018 biographical film directed by Bryan Singer and Dexter Fletcher. 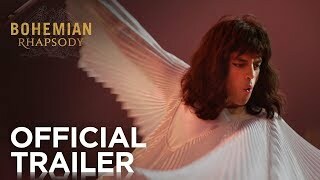 Bohemian Rhapsody | Final Trailer | 20th Century FOX. In 1970 London, Farrokh "Freddie" Bulsara, an Indian Parsi refugee from Zanzibar, works as a baggage handler at Heathrow Airport. After seeing the band Smile perform at a pub, Freddie encounters Mary Austin, and meets the drummer, Roger Taylor, and guitarist, Brian May. Learning their lead singer, Tim Staffell, has quit, Freddie offers to join and demonstrates his vocal ability. Freddie and Mary begin dating. With Freddie as lead singer and bassist John Deacon, the band sells out gigs across Britain. Freddie urges them to think bigger, selling their van to book a studio to record their debut album. An A&R rep from EMI Records, watching the band experiment, asks sound engineer Roy Thomas Baker for their demos. Freddie changes the band's name to Queen, and legally changes his own name to Freddie Mercury. The band signs with John Reid, Elton John's manager, and receives a contract with EMI. An appearance on Top of the Pops gives Queen a hit record, "Killer Queen". After touring to promote the album, Mary and Freddie become engaged. The album hits the charts in America and the band embarks on a sold-out U.S. tour, where Freddie questions his sexuality. 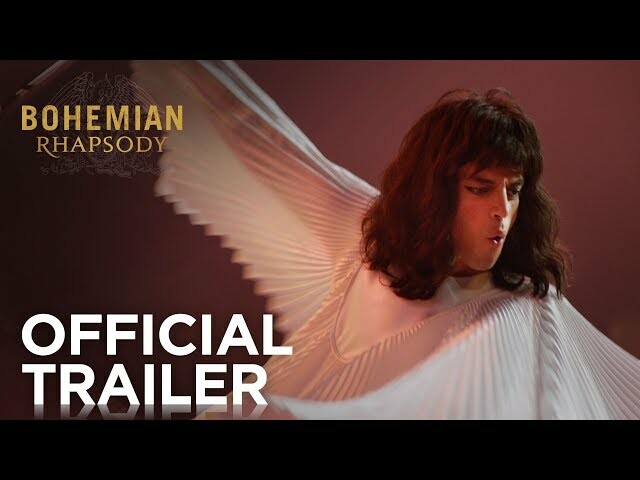 In 1975, Queen records their fourth album, A Night at the Opera, but leaves EMI when executive Ray Foster refuses to release the operatic "Bohemian Rhapsody" as the album's lead single due to its six-minute length. Freddie has DJ Kenny Everett debut the song on the radio; despite mixed reviews, it becomes a smash hit. On Queen's world tour, Freddie begins an affair with Paul Prenter, the band's day-to-day manager. Confronted by Mary, Freddie comes out to her as bisexual, although she assures him he is gay. They end their engagement, but they continue to remain as friends and she moves next door when he purchases an extravagant house in 1980. Principal photography began in London in September 2017. 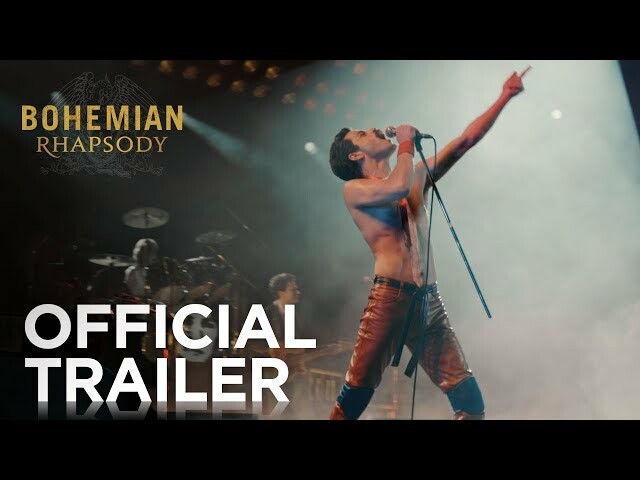 The film Bohemian Rhapsody was scheduled to be released by 20th Century Fox on October 23, 2018 (SSE Arena), on October 24, 2018 (United Kingdom), on November 1, 2018 (Germany, Hungary) and on November 2, 2018 (United States, Bulgaria). The duration of the film is 134 minutes. With a budget of $50 - 55 million, the film grossed over $899.5 million. Bohemian Rhapsody got high rating from critics. The audience also likes the film. Audiences polled by CinemaScore gave the film an average grade of "A" on a scale ranging from A+ to F.